The Geller Report had the story last week of Hamas official Fathi Hammad, who declared that “the cleansing of Palestine of the filth of the Jews, and their uprooting from it” would happen by 2022. “The second thing is the establishment of the Caliphate, after the nation has been healed of its cancer – the Jews – Allah willing.” The world will, of course, little note nor long remember these genocidal boasts. 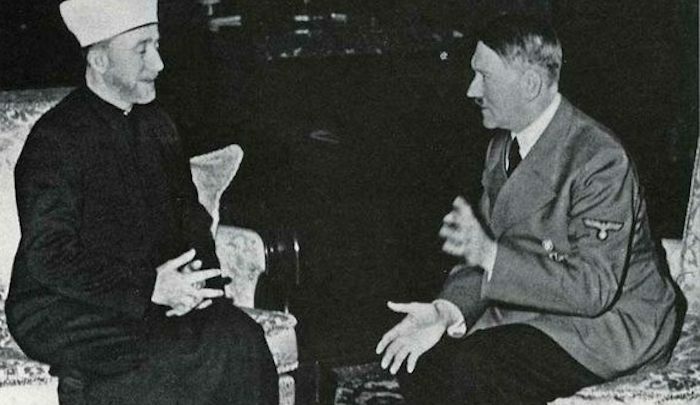 And that in itself is nothing new: the world has been ignoring Muslim declarations of genocidal intent against the Jews since before the founding of the State of Israel. Take, for example, the career of Hajj Amin al-Husseini, the mufti of Jerusalem. As I detail in my new book The History of Jihad From Muhammad to ISIS, for years before the establishment of the State of Israel, he fought strenuously against Jewish settlement in the Holy Land, which had accelerated after Britain’s 1917 Balfour Declaration calling for the establishment of a Jewish homeland in the Middle East. Instead, al-Husseini continued to incite violence, including riots in Petach Tikvah and Jaffa just weeks after he became mufti; forty-three Jews were killed. A British government report stated that “the Arab majority, who were generally the aggressors, inflicted most of the casualties.